Rebels with a Cause: The Failure of the Left in Iran. "From Confidence to Apprehension: Early Iranian Interaction with Russia,” in Iran and Russia, Stephanie Cronin, ed., (Routledge, 2012). 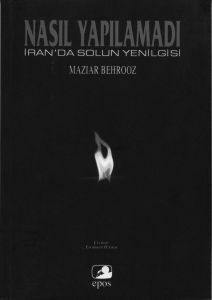 The 1953 Coup in Iran and the Legacy of the Tudeh," in, Mark Gasiorowski and Malcolm Byrne, eds., Mohammad Mosaddeq and the 1953 Coup in Iran, (New York: Syracuse University Press, 2004). "Tudeh Factionalism and the 1953 Coup in Iran," in International Journal of Middle East Studies, 33 (2001). Surprise: Nobody saw the Revolution Coming. "The Iranian Revolution and the Failure of the Left," in Rudi Matthee and Beth Baron, eds., Religion and Society in the Middle East: Essays in Honor of Nikki R. Keddie, (Costa Mesa: Mazda Press, 2000). "Islamic State and the Crisis of Marja'iyat in Iran," in Comparative Studies of South Asia, Africa and the Middle East, vol.XVI, no.2, fall 1996. "Factionalism in Iran under Khomeini," in Middle Eastern Studies, vol.27, no.4, October, 1991. "Trends in the Foreign Policy of the Islamic Republic of Iran 1979-1988," in Nikki R. Keddie & Mark Gasiorowski, ed.s, Neither East Nor West, (New Haven and London: Yale University Press, 1990). 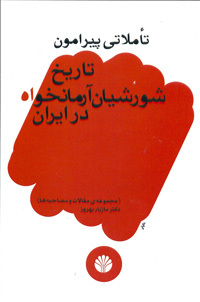 "Iran's Fadayan 1971-1988, A Case Study in Iranian Marxism," in JUSUR, UCLA Journal of Middle Eastern Studies, vol.6, Fall 1990.